Tennis is good for your eyesight! Sorry it’s been a while since my last post. It’s been busy!!!! 🙂 Paphos tennis Coaching takes up a lot of time. So, what’s this about eyesight? I’d never really thought about it, but one of my parents came to me to tell me how happy she was that tennis had helped her child’s eyesight. Apparently in just 4-5 months of tennis her eyesight improved significantly. Some of this was down to the exercises she did, but according to the optician if he compared it to others with the same condition doing the same exercises, tennis accounted for an extra 20% improvement in her eyesight. Wow!!! Why was this? Well as a beginner, we did loads of exercises to improve hand to eye co-ordination for both the right and left hand and then having to focus on the ball to be able to hit it helped more. She can now play tennis and has a great time. You can’t say fairer than that. So, if you know children who have a lazy eye, or maybe other conditions, then just maybe tennis could help along with the exercises given by the optician. I’ve always believed that anyone can play tennis and this is just one example. Almost anyone you ask who plays tennis will say they try to hit with power, but in my Tennis Lessons in Paphos, I try to change this perception. Why? If you listen to tennis commentators, you often hear them talking about players tightening up, especially on the big points. Think about it. What’s happening? They get stressed, they hold the racquet tighter and they try to force the shot. So, what happens to the flow and shape of the stroke? It changes. The relaxed, consistent stroke disappears, there’s less spin and bam! The shot goes out or in the net. This is exactly what happens when you try to add more “power” to a shot and to “muscle” it. You straighten your arm, grip the racquet tighter and lose the shape of your stroke. So what can you do? Change your mindset. When you want to add power, what do you want the ball to do? Come on, think for a sec. Yup. Make the ball go faster. So, if you want the ball to go faster, what does it make sense to do? Make the racquet go faster – accelerate the racquet head speed. So next time you want to add power to the ball, just think that you want to add speed. Power can come from the legs. 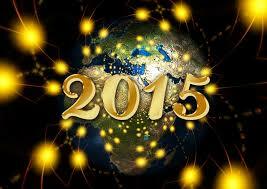 Happy New Year from your local Paphos Tennis Coach! Hope it brings you everything you wish! This year has started out washing away all of last year, with record rainfall. So, everything is new and fresh. That hasn’t stopped our tennis though. We have been doing most of our lessons indoors out of the cold and rain. Brrrr!! Last year I did the Spanish Coaching exams to add to my skillset and qualifications and I will be looking to add to that in 2015. This year, I will be improving and adding to the lessons. Some of this is already underway and I hope you will love it. Any feedback from you is always welcome so that I can continue to make your experience even better. Onwards and upwards! I aslo want to say a big thank you to all my pupils who have worked so hard this year and made huge progress. Well done! Please keep your eyes out for more announcements on this site and the Facebook page. In the 3-4 year olds category, Eleesha won on the assault course and Phanis on the supersonic targets. 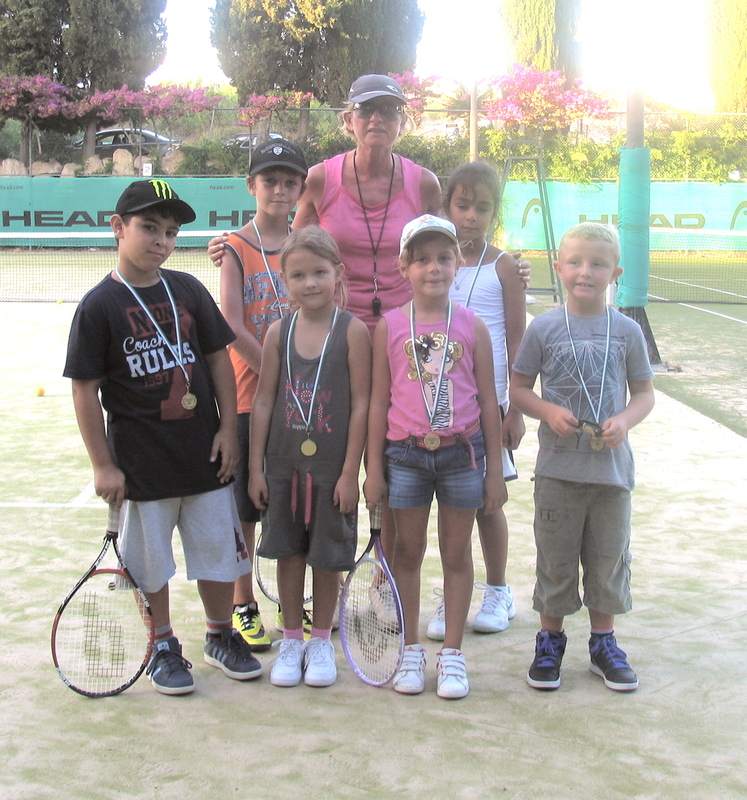 In the 5-7 year olds, Sophia won the forehand competition, Harry the rally and Ines tennis game. The orange ball team was very competitive, with Sophia winning the assault course, Dimitris the Big Ball, Andreas the doubles, Maria the best smash and Vera the best serve. 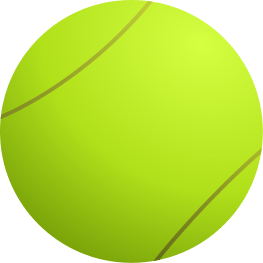 In the Green ball competition, Vasily won the singles, Olivia taking best serve, Abby best lob, James the best dropshot, Jack the most consistent. Joel took best backhand and most improved player. I’d like to congratulate everyone – not just on playing really well and trying really hard, but also for their sportsmanship. It was a pleasure to see players congratulating each other, cheering each other on and creating an amazing atmosphere. Thanks guys! You can see more photos on my Facebook page – follow me on http://www.facebook.com/SachaAppletonTennisAcademy. David beats Goliath every time! Uh? 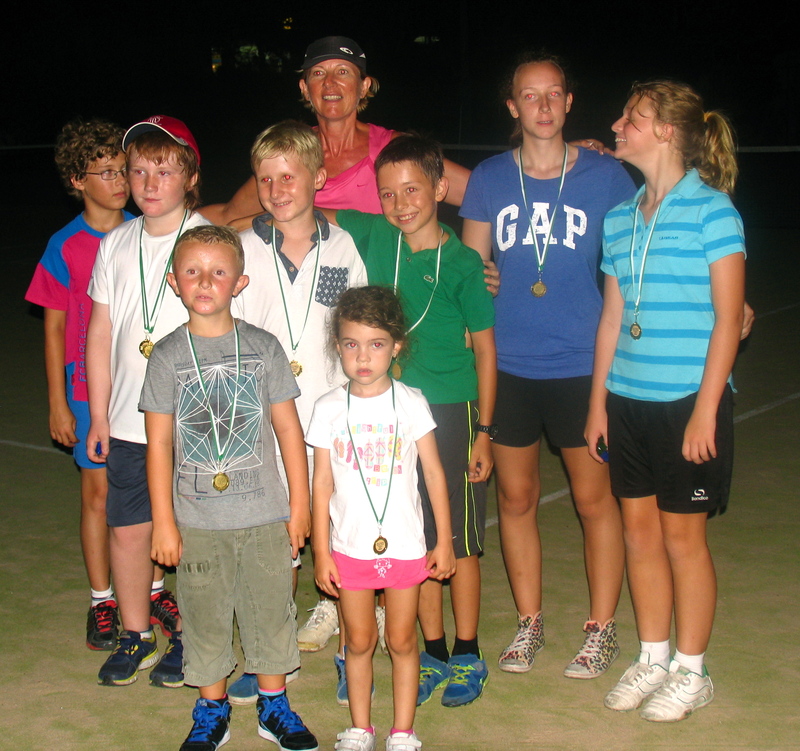 What’s David and Goliath got to do with Tennis and more importantly Tennis Coaching in Paphos? If you remember it’s a story about a normal guy taking on a giant, a great lesson, but for the purposes of this article, I’m more interested in the weapon he used – a sling. Whenever you’re coaching, you have to choose carefully the words you use to describe how to hit a ball. You don’t push it, but you also don’t just slap it. You stay with it for a distance and then it flies off and your racquet continues its arc or follow though. It’s important for the pupil to be able to visualise what they are aiming for and the closest analogy I can think of is a sling. With a sling, there are two ends held together and the stone, or other projectile, is held in the centre. It is swung in an arc and at some point the other end is released with the stone being flung out at a target. The sling continues on its arc for a distance afterwards. 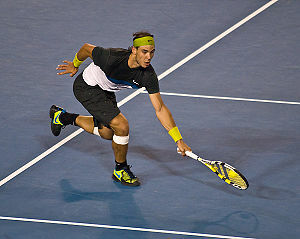 It is a flowing movement (no pauses in the racquets trajectory and always moving in arc, no linear movement). You certainly don’t push or slap the stone. If you imagine you’re racquet as the sling and feel your racquet as if it is part of your hand, you can watch the ball coming towards you. You can imagine the ball pushing your racquet back and then, using the racquet to gather up the ball, fling the ball off in the direction you wish it to go, like a sling, and allow the racquet to continue its path. By visualising the path of your shot and feeling your racquet make the trajectory, you will hit the ball in a similar way to a sling. The result? A smooth stroke that is pretty good. Not the right word for you? Ok, but don’t underestimate the importance of relaxation on the tennis court. This Paphos Tennis Coach is not good at meditation, but has learned the value of relaxing when playing tennis. Doing it 100% of the time is a work in progress. our world needs to narrow down to the tennis ball, everything else, apart from the feel of your racquet, needs to disappear. Then it doesn’t matter what noises are around you, whether you are playing in a match, or whether there is wind. Your body will automatically adjust. Am I a master at this? No, but I am getting better at it and by having done it myself, I’m better able to teach others to do it as well. Also, as I have demonstrated to many of my pupils, if you relax your whole playing arm, your stroke is smoother. As soon as you tighten up and try to force it, the whole shape of your hitting action changes and your shots get worse. Ever hear a commentator say, that a professional tennis player has tightened up at a crucial point? They’ve done exactly that and spoilt their shots. Are Professional Tennis Players Pushing Their Bodies Too Far? Is it just me (a Paphos Tennis Coach) or are there more injuries this year on the professional tennis tour? The latest, Andy Murray, is just recovering from back surgery. Nadal has just returned from injury with a phenomenal impact. But, this year in grand slams and tour events for men and women alike it seems like there are more withdrawals than ever due to injury. Some may preventative because the tennis calendar is brutal, but some could be that professional players are reaching their limits. When Djokovic had his phenomenal year, he broke new boundaries in fitness, speed and results. He was the man to beat. Since then it seems that all the players have worked phenomenally hard to bring themselves up to that standard. Some have tried the famous gluten free diet, but all have improved their fitness. Just look at the players next time you watch a match. They have lost weight, they have more defined muscles and performance is amazing. But, all of this comes at cost. If you push your body like that through all the gruelling rounds of a tournament where the competition is fierce whoever you’re playing and if you do this almost 50 weeks of the year without many pauses then your body may just fail. Of course, players do everything to try to prevent injuries, but it is inevitable. The only player who has been virtually injury free is Roger Federer. So what do you think? Have players reached their limits in terms of what their body can do? Should the tennis year be shorter? The lesson though for us amateur players though is that we do need to be careful with our own bodies as well. We’re not pushing them to the limits of the pros, but at the same time, we should warm up properly and do training specifically to minimise risk of injury. September Tennis Classes have started! It may be September, but it’s like a new year has started. Al the regular pupils are back from their summer breaks and more are joining every day. The schedule is gradually filling up. 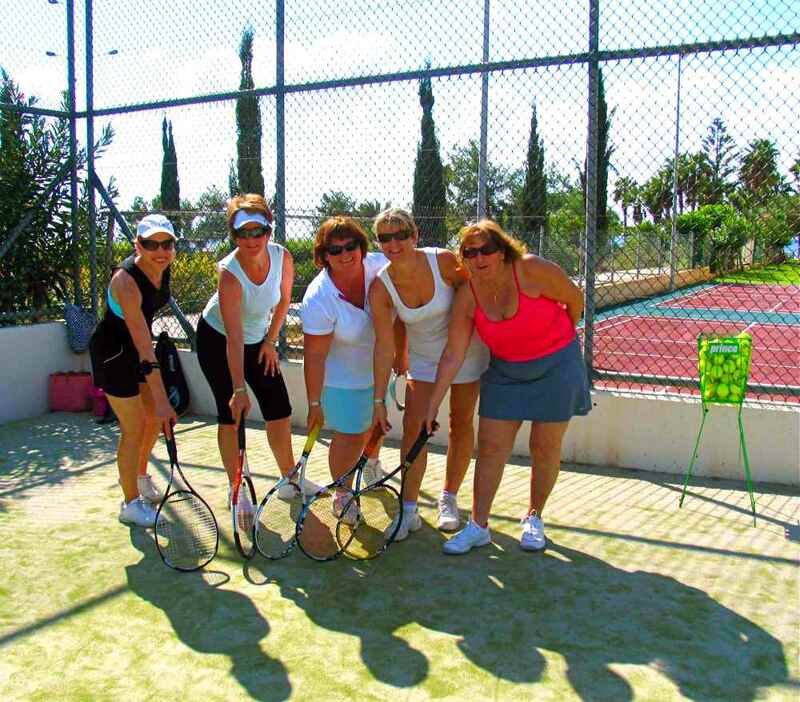 So hurry up and book your place with the Paphos Tennis Coach. I hope to add some more lesson’s shortly. I have a request in for a children’s intermediate group lesson in Coral bay and am looking for more pupils to join that one. Also, some adult mixed tennis groups.